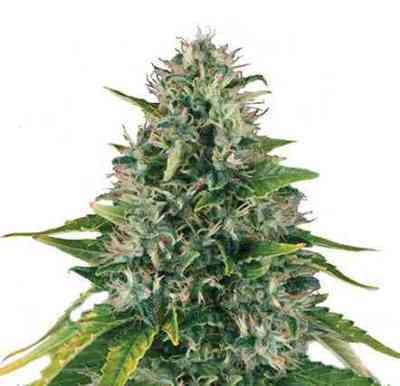 Diamond Girl from the seed bank of Green House Seeds is a cannabis hybrid created from different strains that are of high quality and internationally recognised such as the famous Skunk , Northern Lights , Haze and Early Pearl also known as Silver Pearl. They all belong to the genetics group known as Old School. The growth of this strain is lush, adopting a shrub like form and creating long lateral branches that can be about the same height as the main stem. Its short internodal distances provide a wealth of flowering shoots that will become long and large clusters of buds. Its spear shaped leaves are thin and dark green in colour. During its short flowering of just 49 days, it will produce large,heavy and voluptuous buds full of thick layers of resin. The trichomes contain high concentrations of THC at 14.99%, a CBD of 0.17% and 0.38% CBN obtaining a powerful combination that will give a relaxing indica plant effect. Green House Seeds recommends the growing methods of SOG, SCROG or LST to optimise the yield of Diamond Girl which is capable of producing up to 750 gr/m2 when grown indoors. Cultivating outdoors it can produce up to 900 grams per plant when harvested in late September.